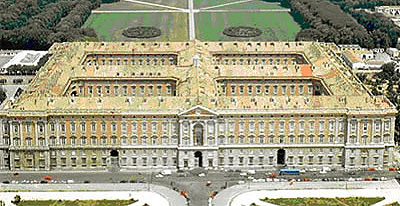 The town of Caserta is located 35 km north of the city of Naples; it is most famous for the palace (Reggia) which was formerly the summer residence of the royal family of the Two Sicilies. In 1801 King Ferdinand IV of Naples and Sicily (later King Ferdinand I of the Two Sicilies) invited King Charles Emanuel IV of Sardinia (later King Charles IV) to live in the palace with his wife, but they stayed only a few months. 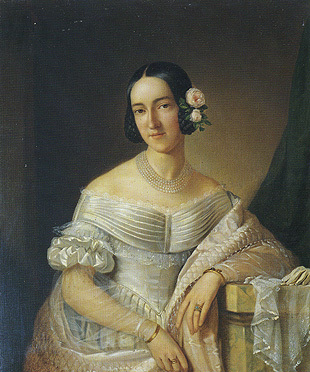 Princess Maria Cristina (youngest daughter of King Victor Emanuel I of Sardinia, later King Victor and sister of Queen Mary III and II) was the wife of King Ferdinand II of the Two Sicilies; she often resided at Caserta and died there in 1836. 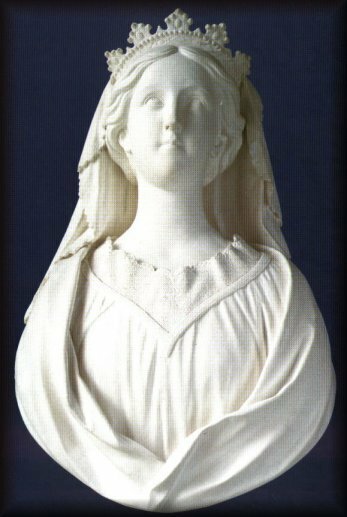 In the palace there are a number of items which relate to Maria Cristina or to her parents King Victor and Queen Maria Teresa. 3 Gian Marco Jacobitti and Anna Maria Romano, Il Palazzo Reale di Caserta (Napoli: Electa, 1994), 94. The portrait measures 91 cm X 74 cm. 5 "Biblioteca - Caserta", http://www.one-click.net/caserta/presentazione/appartamenti/app_vecchio/biblioteca.htm, reprinted from Antonio Marotta, La Reggia e le Fontane di Caserta: Guida per i Visitatori (Caserta: Russo). This page is maintained by Noel S. McFerran (noel.mcferran@rogers.com) and was last updated June 15, 2008. © Noel S. McFerran 2005-2008.